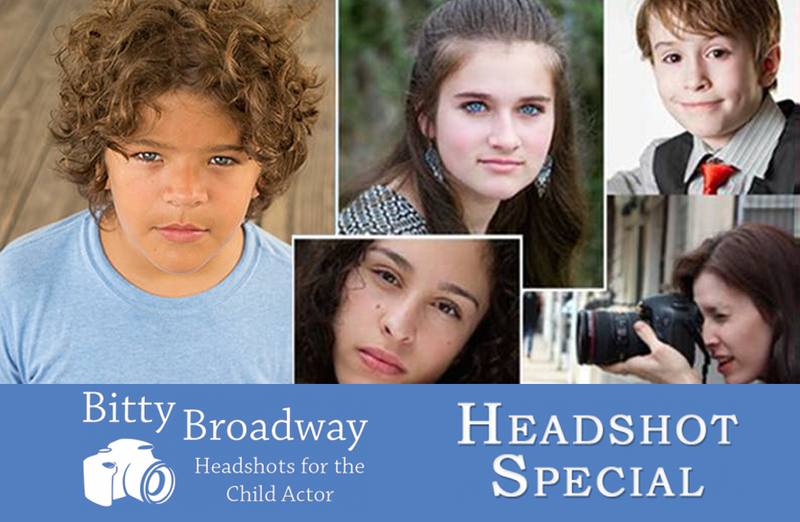 Stephanie Thomas Hedges is a renowned headshot photographer whose philosophy is to create a relaxed, successful atmosphere that allows her to capture the personality of aspiring young actors! Booking for this special discount is only available through A Class Act NY registration! Outdoor Mini-Session: NYC, Sunday, July 29, 10 – 7 p.m. PLEASE NOTE: A CLASS ACT NY DOES NOT HANDLE SCHEDULING FOR THIS EVENT. Visit bittybroadway.com to see Stephanie Hedges work!